Worked in 4 wedges from the top down, to make a half-octagonal shawl. 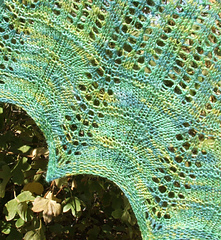 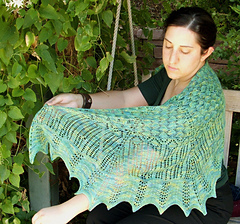 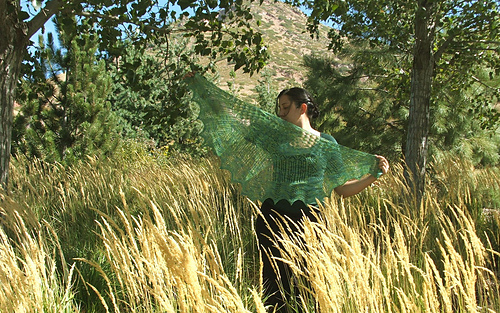 The shawl is designed in 3 parts. 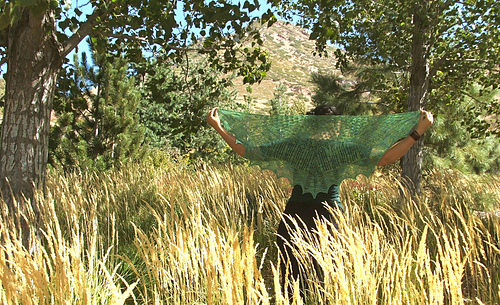 Each of the 4 repeated wedges of the shawl begins with a gathering of leaves, then moves downward into the twisting, odd trunks of the aspens, culminating in the feather and fan edge, which reminds me of the strata of decay on the forest floor, shot through with the communal roots of the aspens above. 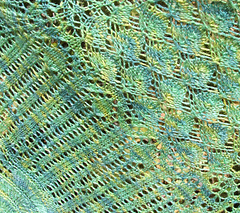 Kit available for presale, with release date of October 1st, from Wooly Wonka Fibers. 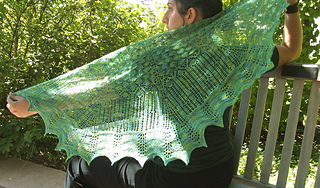 Now available as a stand-alone pattern through MimKnits.com Online Store.